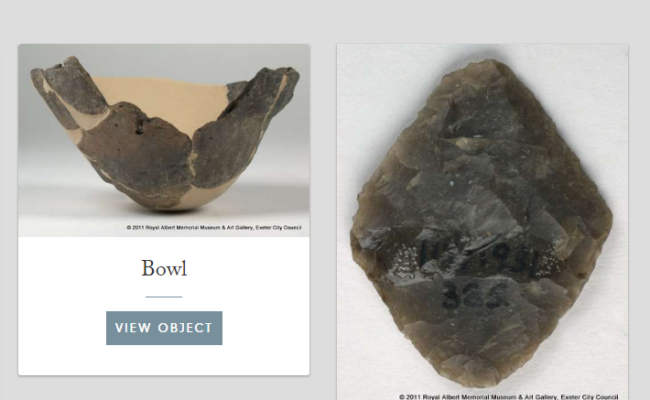 South West Collections Explorer has a new feature for researchers and others. 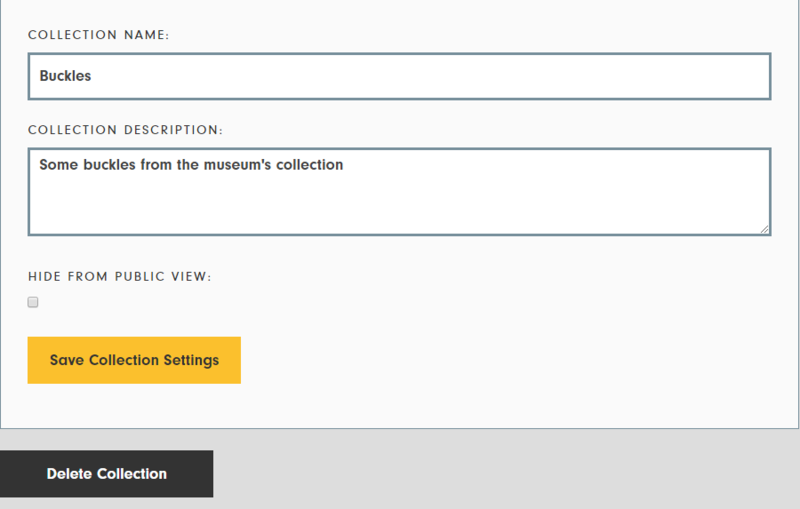 It allows visitors to curate a collection of objects then share or keep the collection private. 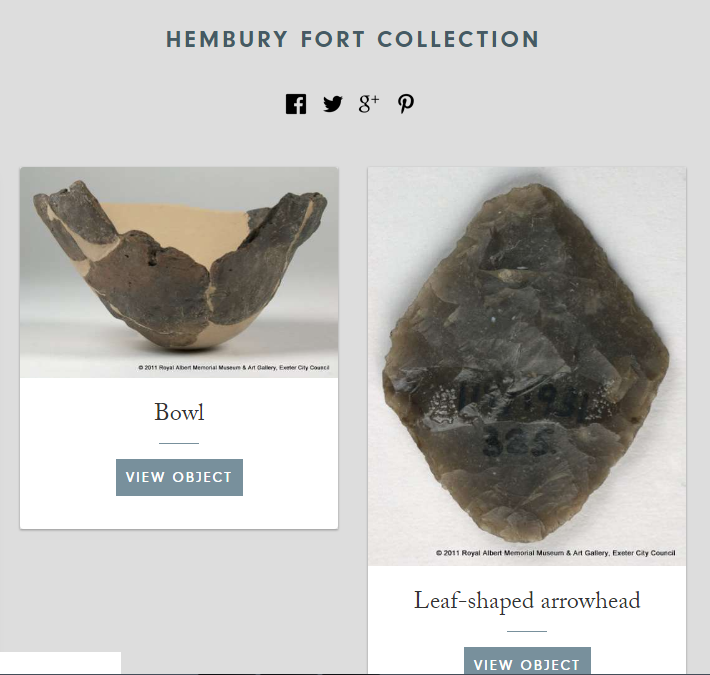 The Visitor Collections feature lets website visitors curate a collection. 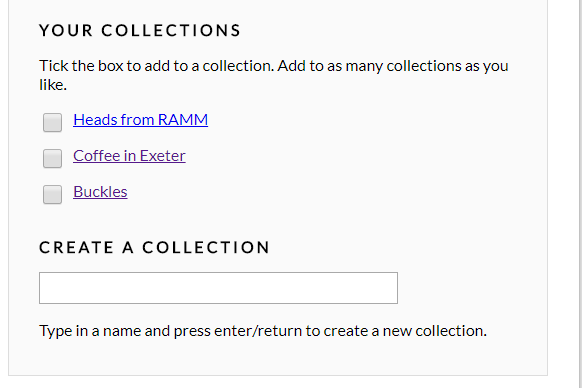 It works across all collections on South West Collections Explorer. The idea is visitors can easily curate a digital collection by creating a login and then adding objects as they wish. There’s no limit on the number of collections or on the number of objects in a collection. The collections are designed for sharing and public view but have a privacy option. That option is for researchers who may wish to keep their discoveries private. The first step is to go to the Visitor Collections page and register. Once registered simply login and start collecting. To create a collection choose your first object and view the full record. Then type in a name and press enter/return to create a new collection. you can then add more objects. Adding objects to an existing collection is a s simple as viewing the full record and clicking on the tick box next to the collection name link. Managing your collections is easy. Just click on the collection name and the edit box appears. Here you can change the collection name and description. Tick the “Hide from public view” box if you want to keep it private. If you no longer need the collection you can delete it here. The collections feature works across the whole website. So you can search across all the collections on South West Collections Explorer. This has the benefit of the aggregation of collections to give wide search results. Or a use single collection to give a narrower set of results. Sharing with social media is built in using the icons on the page. Each collection also has it’s own URL to identify it. That can be copied into other places to share the collection.